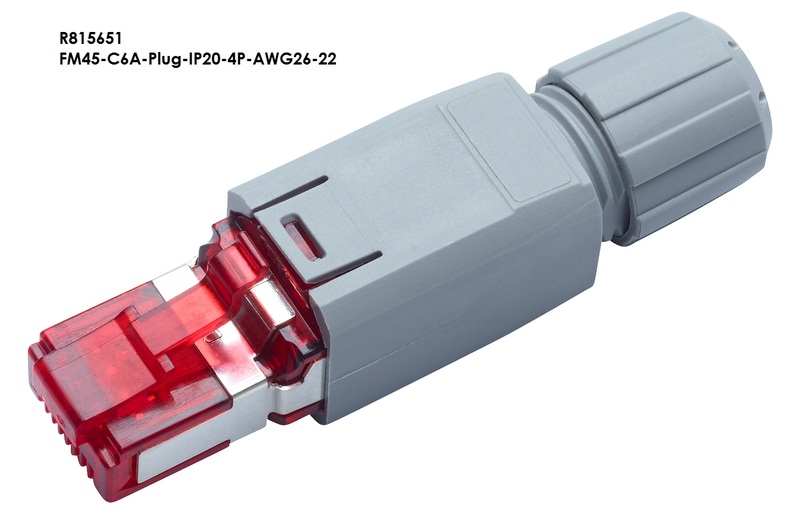 Field-terminated RJ45 plug connector, shielded and unshielded according to IEC 60603-7, ISO/IEC 11801 ed. 2.2: June 2011 and EN 50173-1: May 2011, Cat.6A 8-pole, terminated in IDC technology, suitable for solid or stranded wires, 2- to 8-wire conductors of diameter AWG 26 to AWG 22 (AWG 26/7 - 22/7), housing IP20, for cable diameters of 4.5 mm to 8.0 mm, coding in acc. with TIA 568-A/B. PoE and PoE+ compatible according to IEC 60512-99-001.